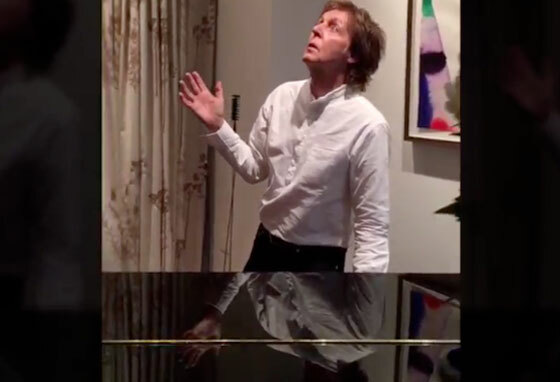 Paul McCartney Does the Mannequin Challenge to Rae Sremmurd's "Black Beatles"
Like it or not, there's a new challenge going around, with a growing number of celebs participating in the freeze-motion #MannequinChallenge. Getting in on the action is now Paul McCartney, who has done his best to stand completely still while, um, Rae Sremmurd's "Black Beatles" blares in the background. You can watch ol' Macca turn to stone below. That song choice? Well, we'll leave it up to you to make your own judgement about that.